It’s difficult to comprehend the amount of change that modern societies have undergone in how women are viewed, treated and enfranchised. In the previous episode of this series, we looked specifically at the early 20th century Suffragette movement in Britain, prior to WWI. In this episode, we explore the decades that followed the Suffragettes, and the development of the Women’s Liberation Movement in the West. Although gains were made around the world for women during the 1910s and 20s, fast forward twenty years, and another global conflict, and by the 1950s women in the West had been pushed back into the household; their roles in the expectations of society confined to the whims and demands of men. By the end of that decade, a low rumble of discontent had begun amongst women in the US. In the 1960s that rumble grew into a roar, as women around the country stood up and spoke up. They were united, organised and began an inexorable push for social, legal and economic change that would bring them into the realm of self-empowerment. Although that push must continue to this day, it was these women who built the scaffolding, from the frames of which women’s rights could begin to be constructed. Josephine Baker’s story of fame and espionage is an amazing and epic one of worldly espionage and fame. It is culturally criminal that it has not, as yet, been made into a film. Mystery shrouds Josephine Baker’s early days. Her mother had been adopted by former slaves, and worked as a maid for a German family. The uncertain circumstances surrounding Josephine’s birth meant that the identity of her biological father would always be questioned by herself as well as others. Her mother and the man she was told was her father performed a song and dance act together; this would be her introduction into the entertainment industry. 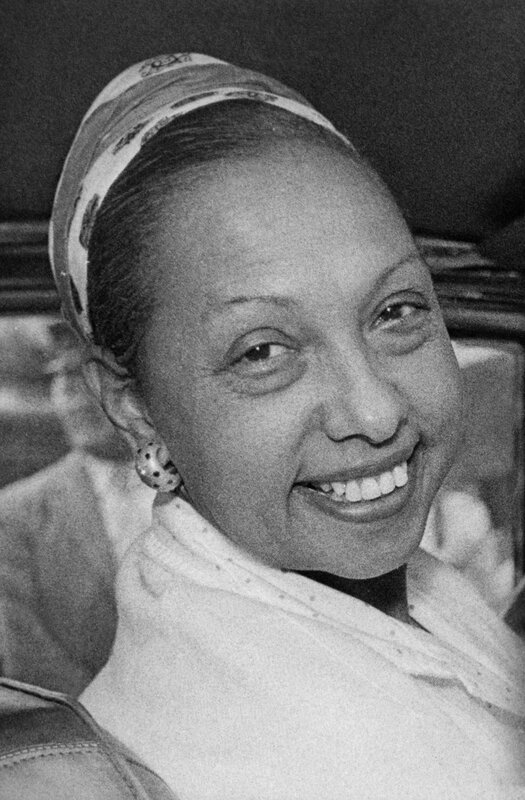 She had a complex family situation which was worsened by the conditions of poverty, so by eight years old Josephine Baker began working as a live-in maid for white families were she was, on occasion, used and abused. One women burned her hands as punishment for adding too much soap to the laundry. She left home at a young age seeking bigger opportunities, but opportunities were lacking, leaving her making subsistence by dancing on street corners for money and searching trash cans for food. Opportunity, however, was not absent, just delayed. Her big break came when she found a job as a chorus line dancer; Josephine quickly rose to the top, which earned her a spot in a European tour in 1925. At the end of the tour, she moved to Paris, a city she fell in love with while touring, in Paris she starred in her own show at the ‘Folies Bergere’. After a decade she was world famous and was given the nickname the ‘Black Pearl’. She stood up against racial discrimination by becoming involved in the Civil Rights Movement, she protested by refusing to perform to segregated audiences in the U.S. and by writing articles on the topic. When the war broke out Josephine refused to leave Europe and rather joined the French resistance than run. Due to her involvement in the underground resistance, the Deuxieme Bureau (French military intelligence) recruited Josephine with the title ‘honorable correspondent’. Josephine Baker wearing her medals of honour, post WWII. The idea was for her to use her celebrity statues to move freely around the world, attending parties at embassies, ministries, clubs and social gatherings with high-ranking officials in order to gain useful intelligence. Her fame and charm allowed her to interact with Japanese military men and Italian bureaucrats all while collecting information about locations of Axis troops, harbors, airfields and such. She would deliver this information to France and Britain in the form of invisible ink disguised as her sheet music or by pinning notes inside her underwear. Baker had literally been on every front of the war; the West and Eastern European fronts, the North African front, the Pacific front and even in South America. For the work she did in supporting, promoting the cause of and even being within the anti-Nazi resistance, particularly in France, Josephine Baker was given the honorary rank of lieutenant in the Free France Air Force, the Croix de Geurre and the Medal of the Resistance and made a Chevailer of the Legiond’Honneur, an award normally reserved for French citizens. Tldr; this African American women was working with the French intelligence changing the tide of the war. Simultaneously, where black women were involved in the military effort, they very often were segregated; black nurses were sent to look after black soldiers, or German POWs, who treated them with a contempt that, if we are honest, was supported by the establishment of the country they were serving.